The European Solar Decathlon kicked off this past Friday, and Inhabitat was on the scene to bring you the world’s most stunning sun-powered homes as they go head-to-head in this year’s competition. One of our favorites so far is the FabLab House, a solar panel-covered passive building designed by a team from the Institute for Advanced Architecture of Catalonia – read on for an exclusive first look! The prefabricated wood FabLab house features a photovoltaic skin that is customized for Madrid’s unique solar resources. It is built on three legs and has space underneath for natural ventilation and a shaded patio. FabLab also features smart energy and temperature-monitoring systems, a garden, and a rainwater collection system on its roof. 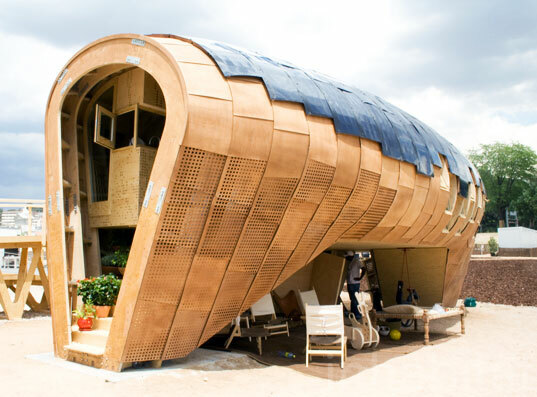 The European Solar Decathlon, a counterpart to the U.S-based decathlon, challenges entrants to design homes for specific climates and resources. We think the sleek FabLab succeeded on all counts. 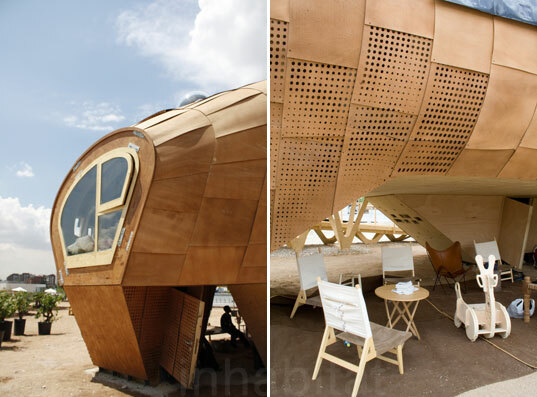 Stay tuned — more Inhabitat coverage of the Madrid-based European Solar Decathlon is coming soon! Looks like a "gypsy wagon" in Europe. It's quite a sight! The European Solar Decathlon kicked off this past Friday, and Inhabitat was on the scene to bring you the world's most stunning sun-powered homes as they go head-to-head in this year's competition. One of our favorites so far is the FabLab House, a solar panel-covered passive building designed by a team from the Institute for Advanced Architecture of Catalonia - read on for an exclusive first look!